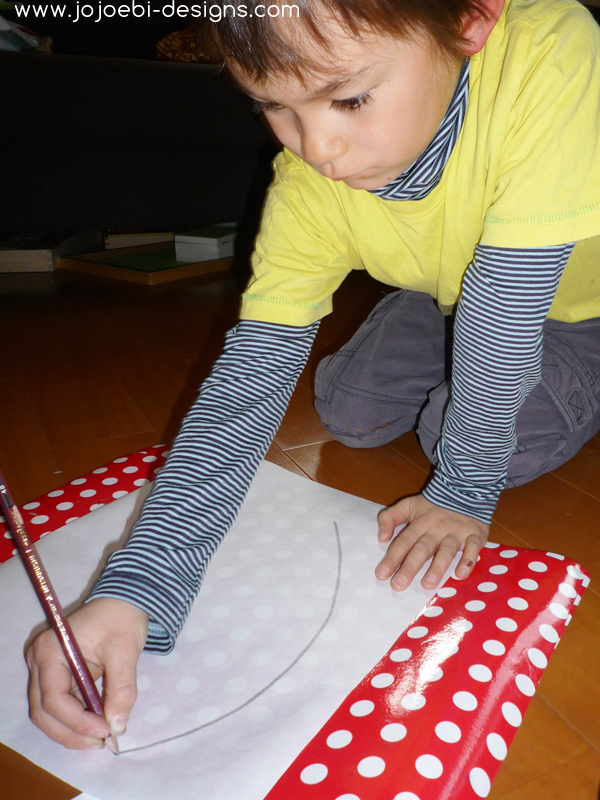 First I cut a piece of freezer paper to size, then Ebi-kun drew the alien face. 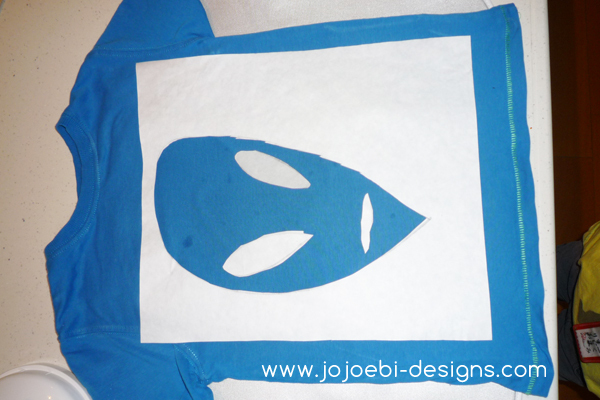 He cut out the face and the eyes and mouth, then ironed the outline of the face to the front of the t-shirt. 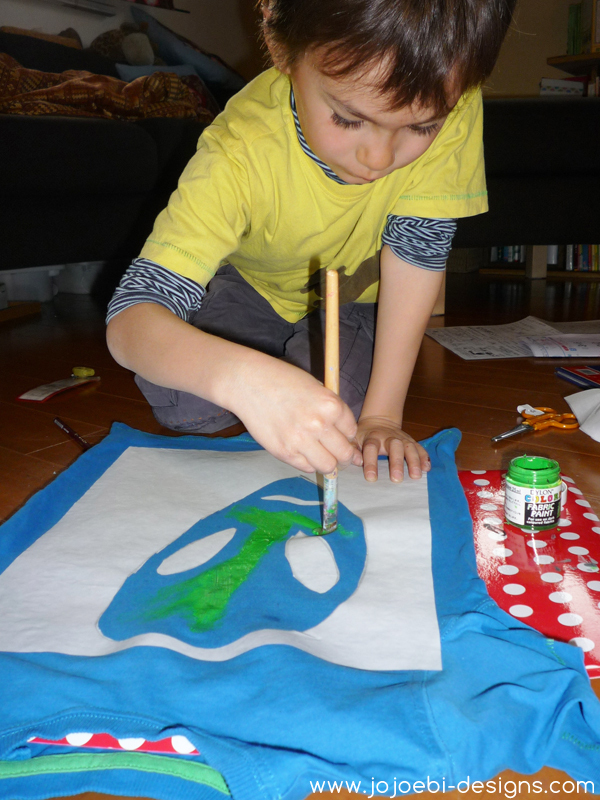 He placed a work mat inside the t-shirt just in case the paint soaked through and got to work painting the green face. He left it to dry, once dry you can peel off the freezer paper. I forgot to take a photo but he finished it off by painting the eyes and mouth black. We left it to dry over night then fixed the paint by ironing it again, this time with a cloth over the alien, the heat should fix the paint but check the instructions on the paint jar. 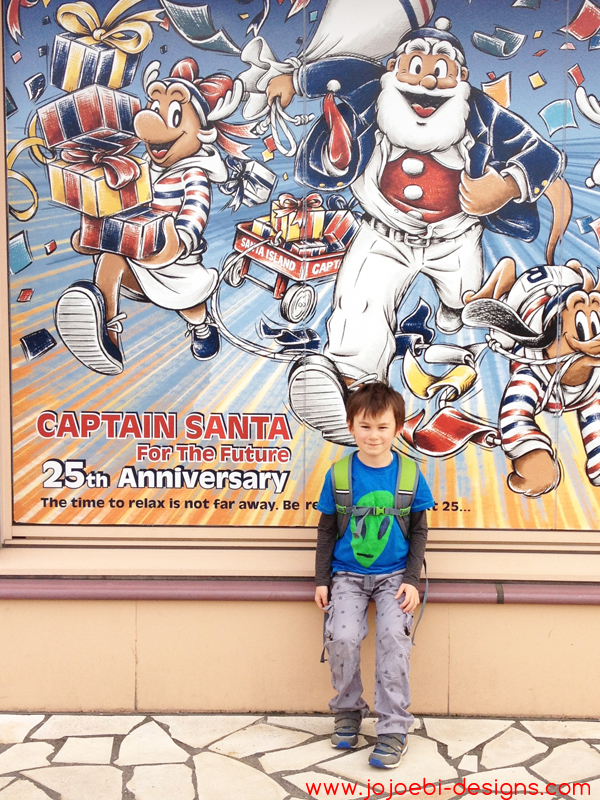 Then go and model the t-shirt with Captain Santa in Tokyo! *freezer paper - a friend sent me two rolls form the US. You can buy it in the crafts stores here, it is usually near the quilting paper stuff. 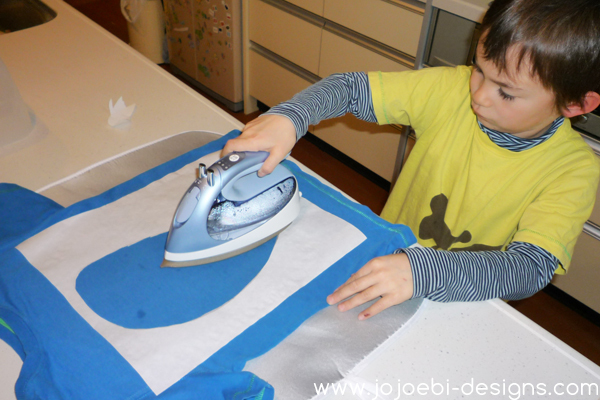 It has a coating on one side which sticks to fabric when you iron it but doesn't damage the fabric at all and just peels off, leaving no residue. I bought the fabric paint from the crafts store, it was about ¥600 for a jar. Loved this? Sign up for my newsletter, sent out once a week and absolutely FREE!